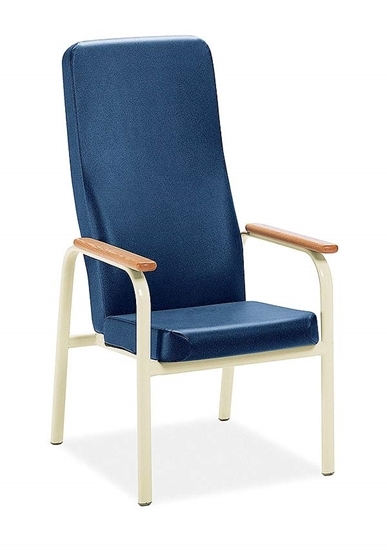 The Careflex GC7605 guest arm chair is designed for patient rooms and public reception areas where durability and strength is a must. This high back model is perfect for medical office waiting areas and guest seating. Easy to clean and anti-microbial protected upholstered armchair. Order today and get free shipping! Standard glide is plastic. For hard surface flooring specifyopaque, non-marking glide at no upcharge. The standard armcap is wood. Optional Black, self-skinned urethane armcaps are available at additional charge. Armrests are rounded and extended to allow a secure grip for easy entry and exit of chair. View the Global Careflex Brochure!